The culinary expertise of Charles Darwin University’s lecturer and student chefs will be on show as a part of an upcoming Darwin Festival event featuring special guest restaurateur and author, Gay Bilson. CDU lecturers and students will present a kitchen spectacular as they prepare pates, breads and other lip-smacking delights for viewing and epicurean pleasure. 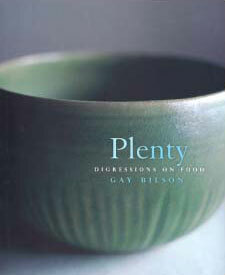 Gay Bilson is one of Australia’s leading culinary figures, rising to prominence in Sydney during the 1970s through her restaurants Bon Gout and Berowra Waters Inn. Gay has been recognised with the Nita B. Kibble Prize for women writers (memoir) and the 2005 Age Book of the Year. Gay will present passages from her acclaimed book, Plenty: Digressions on Food, at the Darwin Festival event which will also feature gypsy swing music with maestro Francis Diatschenko on guitar.